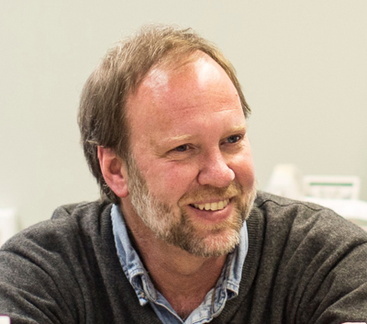 Carl Elliott is Professor in the Center for Bioethics and the Department of Pediatrics, and an affiliate faculty member in the Department of Philosophy and the School of Journalism and Mass Communications. He is the recipient of a 2018 Guggenheim Fellowship and a 2018 National Endowment for the Humanities Public Scholar Award. Elliott is the author or editor of seven books, including White Coat, Black Hat: Adventures on the Dark Side of Medicine (Beacon, 2010) and Better than Well: American Medicine Meets the American Dream (Norton, 2003.) His articles have appeared in publications such as The New Yorker, The Atlantic Monthly, The New York Review of Books, Mother Jones, The New York Times, The American Scholar and The New England Journal of Medicine. He is currently working on a book about whistleblowing in research on human subjects. A native South Carolinian, Elliott was educated at Davidson College in North Carolina and at Glasgow University in Scotland, where he received his PhD in philosophy. He received his MD from the Medical University of South Carolina. Prior to his appointment at the University of Minnesota in 1997 he was on the faculty of McGill University in Montreal. He has held postdoctoral or visiting appointments at the University of Chicago, East Carolina University, the University of Otago in New Zealand, and the University of Natal Medical School (now the Nelson R. Mandela School of Medicine), the first medical school in South Africa for non-white students. Elliott has been a Visiting Associate Professor at the Institute for Advanced Study in Princeton, a Network Fellow at the Safra Center for Ethics at Harvard University, a William Evans Visiting Fellow at the University of Otago and an International Visiting Research Fellow at the University of Sydney. He is a Fellow of the Hastings Center, an Honorary Member of the Caribbean Bioethics Society, a recipient of the Pellegrino Medal in Bioethics from Samford University and the recipient of an Outstanding Faculty Award from the University of Minnesota's Council of Graduate Students. In 2011 the Austen Riggs Center awarded him its Erikson Prize for Excellence in Mental Health Media. Elliott C. White Coat, Black Hat: Adventures on the Dark Side of Medicine (Beacon Press, in press, 2010). Elliott C and Chambers T (ed.) Prozac as a Way of Life (University of North Carolina Press, 2004). Elliott C. Better Than Well: American Medicine Meets the American Dream (W.W. Norton, 2003). Elliott C. (ed.) Slow Cures and Bad Philosophers: Essays on Wittgenstein, Bioethics and Medicine (Duke University Press, 2001). Elliott C. A Philosophical Disease: Bioethics, Culture and Identity (New York: Routledge, 1999). Elliott C, Lantos J. (ed.) The Last Physician: Walker Percy and the Moral Life of Medicine (Duke University Press, 1999). Elliott C. The Rules of Insanity: Moral Responsibility and Mental Illness. (State University of New York Press, 1996). Elliott C. Knifed with a Smile, New York Review of Books 2018 (April 5): 65(6). Elliott C. Power Concedes Nothing without a Demand: The Case for a Patient Boycott of U.S. Clinical Trials; IRB: Ethics and Human Research, March-April 2018, 40(2):15-18. Elliott C. Tuskegee Truth Teller, The American Scholar, Winter 2018:44-56. Elliott C. What New Zealand’s “Unfortunate Experiment” Can Teach Us about Medical Abuse, The Boston Review, November 26, 2017. Lamkin M, Elliott C. Exploitation and Undue Influence, Avoiding Exploitation in Phase I Clinical Trials: More than (Un)just Compensation, in press, American Journal of Law, Medicine and Ethics. Elliott, C. Commentary on Grady et al. : Using poor, uninsured minorities to test the safety of experimental drugs. Clinical Trials 2017, 14(5), 547-550. Elliott C. Why Research Oversight Bodies Should Interview Research Subjects, IRB: Ethics and Human Research 2017; 39:2: 8-13. Elliott C. The Anatomy of Research Scandals, The Hastings Center Report 2017; 47:3, back cover. Lamkin M, Elliott C. Involuntarily Committed Patients as Prisoners, University of Richmond Law Review 2017; 51(4):1041-1091. Elliott C. Institutional Pathology and the Death of Dan Markingson, Accountability in Research 2016; 24 (2):65-79. Elliott C, Lamkin M. Restrict the Recruitment of Involuntarily Committed Patients for Psychiatric Research, JAMA Psychiatry. 2016 Apr 1; 73(4):317-8. Elliott C. Whatever Happened to Human Experimentation? Hastings Center Report Jan/Feb 2016; 46(1):8–11. Elliott C. The University of Minnesota’s Medical Research Mess, The New York Times, May 26 2015. Elliott C, University of Minnesota Blasted for Deadly Clinical Trial, Mother Jones 2015 April 23. Lamkin M, Elliott C. Curing the Disobedient Patient: Medication Adherence Programs as Pharmaceutical Marketing Tools, Journal of Law, Medicine and Ethics 2014; 42(4):492-500. Elliott C. The Best-Selling, Billion-Dollar Pills Tested on Homeless People, Matter; July 28, 2014. Elliott C. Relationships between physicians and Pharma: why physicians should not accept money from the pharmaceutical industry. Neurol Clin Pract 2014; 4:164-167. Landa A, Elliott C. From Community to Commodity: The Ethics of Pharma-Funded Networking Sites for Physicians. Journal of Law, Medicine and Ethics August, 2013; 14:3.